HERITAGE FRAME & PICTURE CO IS THE BEST RATED NYC CUSTOM FRAMING AND ART INSTALLATION SHOP IN BATTERY PARK CITY. Heritage Frame & Picture Co. is a 4th generation custom photo, mirror and corporate framing business. We provide art restoration and art installation in Battery Park City and throughout New York City and Westchester. In addition, we serve corporate and private custom art, mirror and picture framing clients, nationwide. We specialize in Corporate Picture Framing and Art Installation Services. We offer Corporate, framing, events and art installation. We also provide services for corporate marketing, framing of displays, product launches & branding materials and corporate gift giving. Heritage Frame & Picture Co has developed and maintained a close working corporate picture framing relationship with many brokerage firms, insurance companies, hotels, restaurants and law firms in the New York City metropolitan area for over a century. 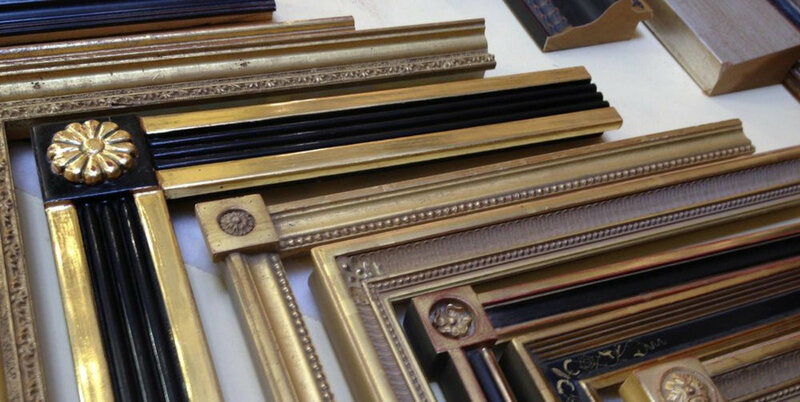 We pride ourselves on providing the highest quality framing and best customer service in the custom art and mirror framing industry. We are professional craftsmen who work with art collectors, corporate clients, interior designers, galleries, museums, photographers, schools, sport teams, banks, law firms, restaurants, hotels and more. We love what we do. And we know you will love the custom art, mirror, picture frames, art restoration and art installation services we provide. With 140 years experience in the custom picture framing business, we have worked in almost every industry. Call us at 212-233-3205 for an appointment. If you need custom picture framing for contemporary fine art, lithographs, posters, mirrors or photos in Battery Park City, we have a large assortment of framing and matting to enhance your art and compliment your decor. We can come to your location or you can meet us at our framing shop in Tarrytown. HERITAGE FRAME PROVIDES CUSTOM PHOTO FRAMING, CORPORATE FRAMING, ART RESTORATION AND INSTALLATION IN BATTERY PARK CITY. Ted Howell, owner and 4th generation custom framing craftsman stands behind his work. Ted is available to answer questions regarding framing ideas, the art restoration process and anything else you would like to know regarding corporate framing, corporate gift giving as well as having art installed in your home, office or at your event. If you would like a FREE QUOTE on custom art or mirror framing, corporate framing, art restoration or installation in Battery PArk City, call Heritage Frame at 212-233-3205. If you would like Ted to meet you at your location in Battery Park City or elsewhere in Manhattan to provide you with an estimate for custom framing, corporate framing, art restoration or art installation, call Ted at 212-233-3205 or email Ted@HeritageFrame.com. Many of your custom picture and photo framing customers are located in and near Central Park, Greenwich Village, Midtown Manhattan, Turtle Bay, The Lower East Side, Battery Park City, Flatiron District, Harlem, Stuyvesant Town, Wall Street, Gramercy Park, Uptown Manhattan and the surrounding areas. Heritage Frame offers online digital framing. No, you cannot frame your photos online but you can use our custom framing site to test how your art, mirror or photos look framed. In addition, you can place the framed works on various color backgrounds. This way, you can shop our online website for the custom photo frame of your choice and then contact us with your selection. By the way, we pick up artwork and ship everywhere. Please call or stop by Heritage Frame & Picture Co ( or NYFrame.com) and let us guide you through our unlimited selection metal, wood and museum quality framing. If you would like to come by our framing shop. We are conveniently located in Tarrytown, which is just a short drive outside of Manhattan. If you are interested in learning more custom art and picture framing, please take a look at our Glossary of art framing terms to get familiar. Below is a list of some of the towns in NYC, Westchester and Connecticut we have provide corporate framing, custom photo, mirror and art framing, art restoration and art installation services.